Haverton Hill award winning 100% Sheep’s Milk Butter is handcrafted in small batches using our fresh farmstead sheep cream. 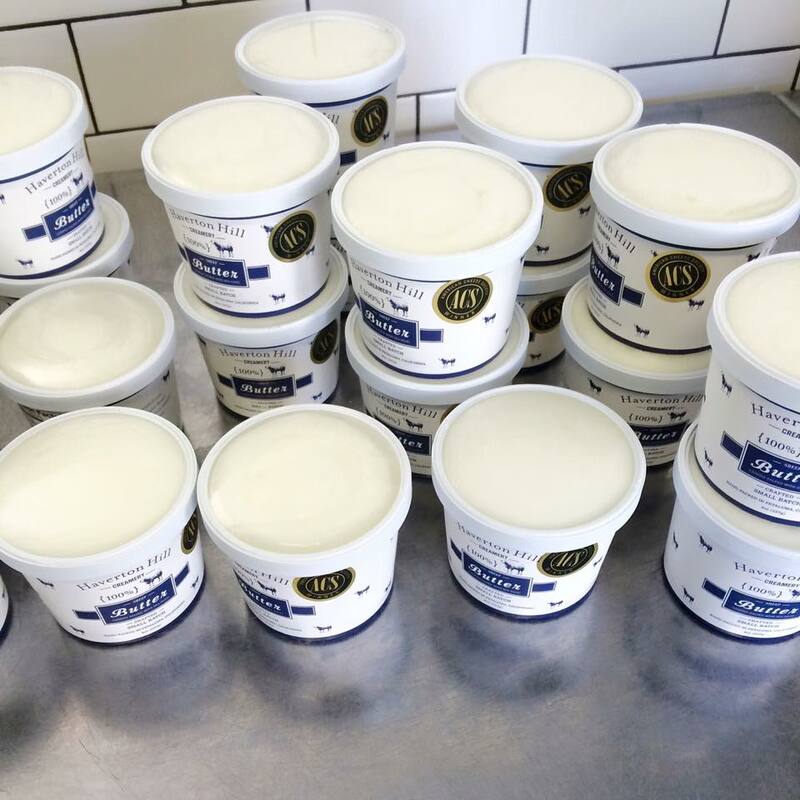 Our fresh cream is slowly churned while delicious fine sea salt is lightly sprinkled throughout each batch creating our signature European - style uncultured butter with an 85% butterfat. A creamy white appearance and it's rich, smooth and mildly sweet flavor make our award winning 100% sheep butter a perfect addition to any meal.